It's been a while since my last post about Sekotong's Best Gili, Gitanada. It's still on Eid Mubarak and Moslems around the world are celebrating the final stage of Ramadhan on Friday, June 15 last few days called Eid Fitri. Lombok is known for its Moslems population majority and since it's multicultural island, people have their different ways in celebrating the Eid Fitri. On the night before the celebration day, you'll most likely to find parade with thousands of mosques miniature on the street and it has been a tradition for most Moslems in Indonesia. In Lombok, people are gathered and walked throughout the street bringing various attributes such as a replica of mosques, torches, and various attributes reflected the joy of the celebration. If you're keenly wondering how the Eid Fitri celebration night was, you can go to this link (the link will be updated). As it is set as a national holiday in Indonesia, Eid Fitri is also the most awaited time to have a vacation. In most tourism destination will be crowded by people that are having their holiday with families. You will see many people are gathering on the beach and the streets will be much crowded as well. It is fairly to say that Lombok tourism destinations are the best escape to enjoy the national holiday. And here are some Lombok destinations you should visit with families during this national holiday. 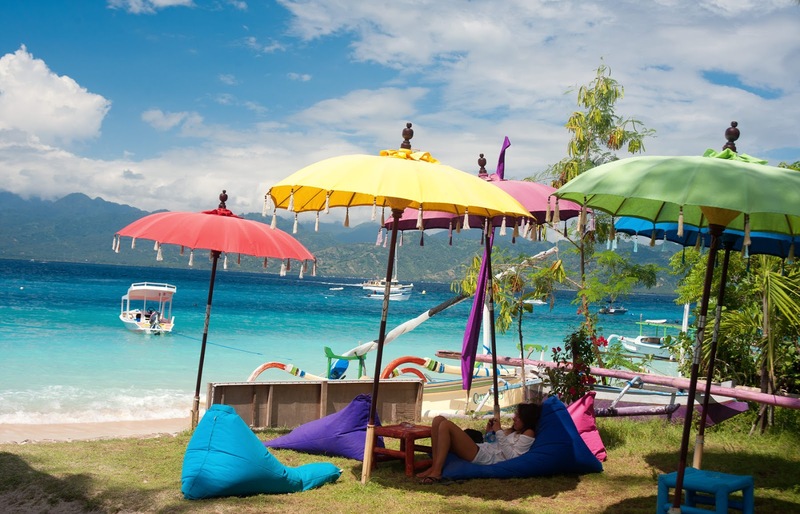 It's like an opiate not to include Gili Trawangan as one of the most favorite destinations. Needless to say, the beach is so beautiful. Featured with white sand and clear waters. You can take all of your families and try to swim or snorkel with thousands of marine species. The accommodation is complete with many choices. It is necessary to note that during the national holiday in Indonesia means peak season. You will find many rooms hotel with an incredibly high price. But don't worry, it's all worth it with the paradise you will get into. Read more about Gili Trawangan here. If you're looking for a beach with a coastal town in south Lombok, Kuta beach is the answer. The underdevelopment beach is highly recommended for those who want to feel the vibes of Lombok. The magnificent scenery with small hills off the beach will take you to the new paradise. You can also find the surf breaks in Kuta with stunning waves. The crystal clear water allows you to dive and meet many oceans animals. The accommodation is also available at various rates and prices. If you're coming with a family trip, you can stay at Novotel Lombok just off the Kuta beach. Read more about Kuta here. During the national holiday, Pink beach is one of the most recommended places to visit. It is located in Tangsi, East Lombok. The view of the beach from hills is magnificent. It is quite popular with travelers. The mix of red corals and white sand has emerged such pinky color when it is touched by the sunshine. The Pink beach is one fine place to enjoy the paradise-like moment with family and loved ones. You can also get on the boat to some gilis nearby the beach such as Gili Petelu, Gili Petagan, Pulau Pasir (The Sand Island) and Gili Bidara. Read more about Pink Beach here. Well, Lombok is endlessly giving the best tourism destinations. 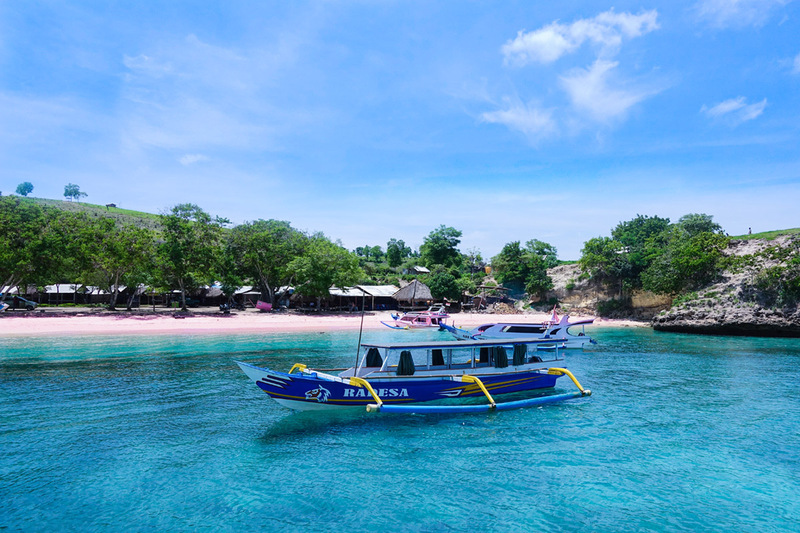 Many more destination such as Senggigi, Sekotong and other undiscovered destinations can be your choices. Again, it is necessary to note during the national holiday the rates and prices of accommodation must be concerned as well. That's all amazing island ..